The civilizations that influenced Sudan are depicted in the Cover. These are represented by the Meroitic script, the indigenous alphabet which consisted of 23 letters and was developed at about 700-300BC [http://en.wikipedia.org/wiki/Meroe]. The site of the city of Meroë, located 200 km northeast of Khartoum, is marked by more than 200 pyramids. It formed the southern Capital of the Napta / Meroitic Kingdom (800BC-350AD) which flourished due to a strong iron industry and international trade involving China and India. 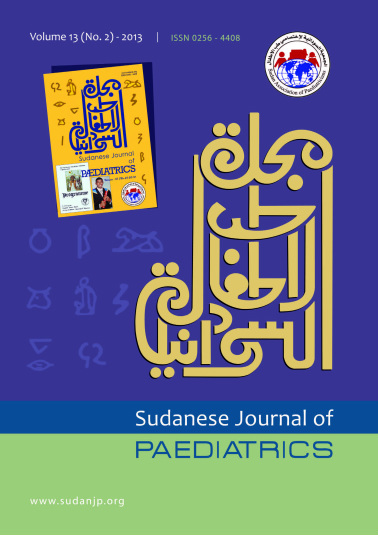 The Arabic script of the “Sudanese Journal of Paediatrics” was designed in 1984 by Taha El Atta, PhD at the Sudan University, College of Fine Arts. It reflects the main current language and culture following the migratory waves in the 12th century from the Arabian Peninsula. A smiling Sudanese baby with interactive eye contact reflects normal cognitive development. [http://en.wikipedia.org/wiki/Mero%C3%AB]. The Arabic script of the “Sudanese Journal of Paediatrics” reflects the main language and culture following the migratory waves from the Arabian Peninsula to Sudan in the 12th century. The script was designed at the College of Fine and Applied Arts, Sudan University of Science and Technology (SUST), by Taha El Atta, PhD. 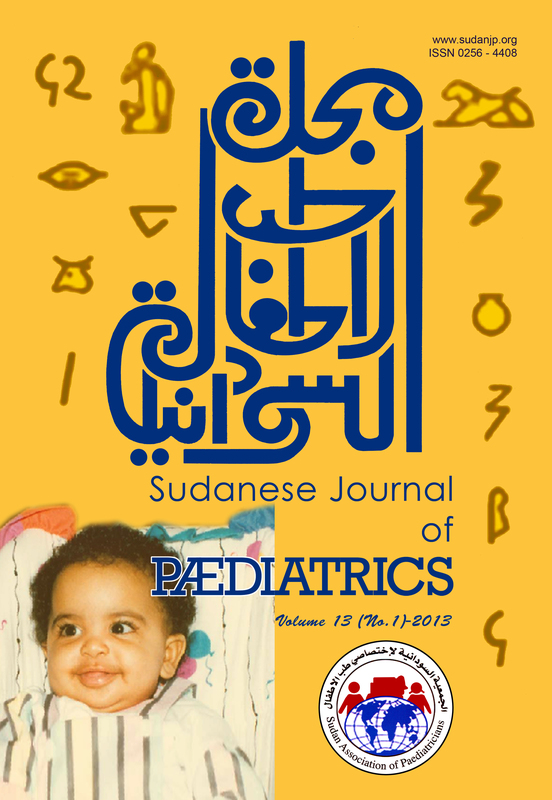 It first appeared in the Cover of the Sudanese Journal of Paediatric (SJP) [http://www.sudanjp.org/the-cover-v-3.html] in 1984. The art work for the same issue of SJP (Volume 3, 1984) was performed by Professor Abdo Osman. The photo of the 3-year-old Sudanese child to the left (Mohammed Abdo Osman, taken in Kosti, Sudan) constituted part of the Program Booklet Cover for the 8th Conference of the Sudan Association of Paediatricians which was held in February 1985 at Baghdadi Lecture Theatre, Faculty of Medicine, University of Khartoum. The slogan for the Conference was “Towards Better Future for the Sudanese Child”. [http://www.sudanjp.org/1985.html]. Mohammed, the son of Professor Abdo Osman, was born in London, when his father was sent by the College of Fine and Applied Arts, SUST for postgraduate studies at the Slade School of Fine Art, University College London (UCL). He was brought up in Khartoum and had his university (BEng, Electrical & Electronics Engineering) and postgraduate (MEng, IT Mobile Telecommunication) education at Heriot-Watt University, Edinburgh, UK (photo to the right). Currently, Mohamed is General Manager at one of the IT companies in Khartoum.